The noodle brand is facing the controversy over Maggi from last two weeks when UP Govt has first noticed the excessive amount of lead content in the noodle. 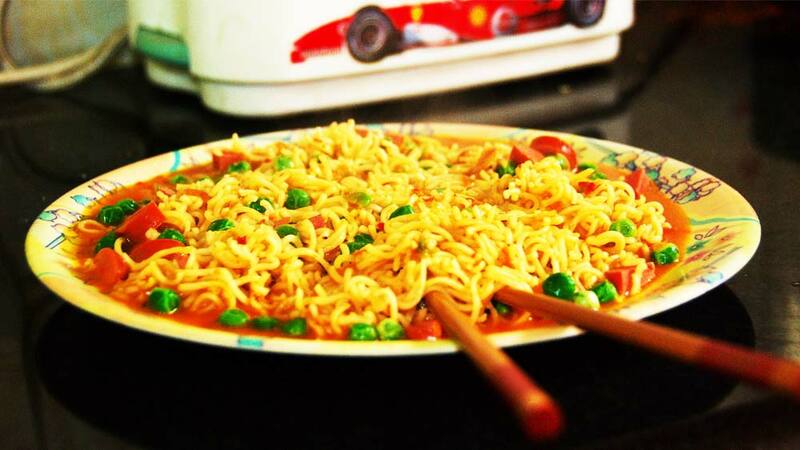 Nestle which manufactures Maggi in India declared that extensive testing by internal and external labs has revealed no excess lead in Maggi noodles. According to a statement by one of the largest noodle maker in the world, they regularly regularly monitor all raw material for lead, including testing by accredited laboratories which have consistently shown levels in MAGGI Noodles to be within permissible limits. The noodle maker however didn’t disclosed the name of the labs where it’s product are being tested externally. “We have also submitted samples of MAGGI Noodles from almost 600 product batches to an external laboratory for independent analysis and we tested samples from almost 1,000 batches at our accredited laboratory. These samples represent around 125 million [12.5 Crore] packets. All the results of these internal and external tests show that lead levels are well within the limits specified by food regulations and that MAGGI noodles are safe to eat. We are sharing these results with the authorities,” added the statement. In addition, Maggi remains committed to continuing to improve the quality of agricultural raw materials across the food chain working with farmers, suppliers, authorities and the food industry to ensure food safety, mentioned the statement. Why Zomato closed Urbanspoon, drawing complete tra..